The National Park Service Visitor Center sits on property where the US Navy had its amphibious base in World War II. The large round concrete structure nearby is the cistern that was used to store rainwater for 600 military personnel. It is the only artifact remaining from the substantial Navy base located here. Behind the Visitor Center is a small family cemetery. Displays in the Visitor Center change periodically. Inside are pamphlets and other exhibits, as well as a comprehensive assortment of books on nature, history, and the culture of Ocracoke and the Outer Banks. There is also a bathroom facility and a water fountain. In the summer, the Visitor Center offers a variety of ranger programs for children and adults alike; some past programs have included Explore the Shore, Outer Banks History, and Graveyard of the Atlantic. Call for current schedule. 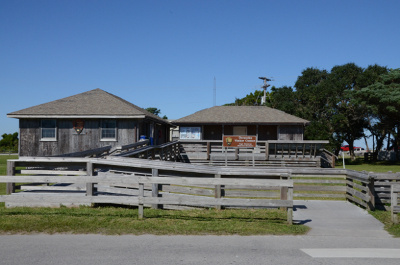 The Ocracoke Visitor Center is part of the Cape Hatteras National Seashore (CHNS). The CHNS was established on August 11, 1937, and was the first national seashore in the United States. 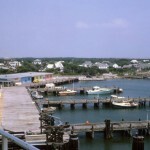 It extends from Oregon Inlet in Nags Head to Ocracoke Inlet in Ocracoke, covering over 70 miles of undeveloped coastline. The most recognizable landmark of the national seashore is the Hatteras Lighthouse in Buxton. 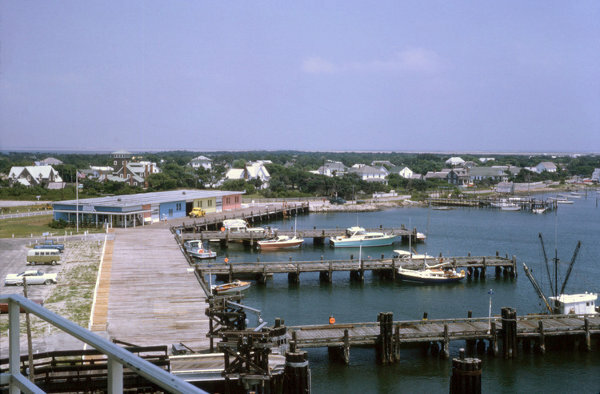 The entirety of Ocracoke Island is part of the CHNS, with the exception of the village. 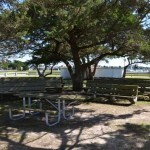 The CHNS is run by the National Park Service, which also operates the campground, the lifeguarded beach, and beach access on Ocracoke, and is also in charge of permits for beach fires and off-road vehicles. Permits can be acquired at the Visitor Center. Public restrooms are also available at the visitor center. 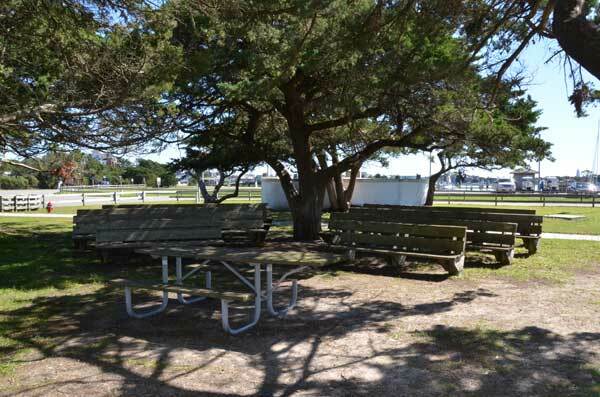 Other sites of interest near the Visitor Center are: the North Carolina Center for the Advancement of Teaching (NCCAT) and the memorial to Fort Ocracoke, a confederate fort on Beacon Island.